Automatic for the people? | What Car? Q) Im thinking of buying my first automatic car, having driven only manuals for the past 19 years. What are the pros and cons of autos? Am I better off sticking with a manual? A There are several types of automatic gearbox, but they all make life easier by changing gear for you. 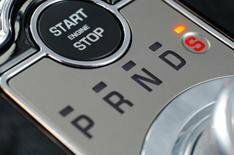 You dont have to worry about pressing a clutch pedal or moving a gearlever. Whether the benefits are worth it will depend on your circumstances. Automatic cars cost more than manuals to buy (usually by between 500 and 2000). Most automatic boxes harm economy and emissions, meaning youll also have to fork out more on fuel and tax. Some automatic cars pull away from a standstill and change gear smoothly, while others are jerky, so always test drive an automatic version of the car youre looking at never simply drive the manual and tick the auto option.